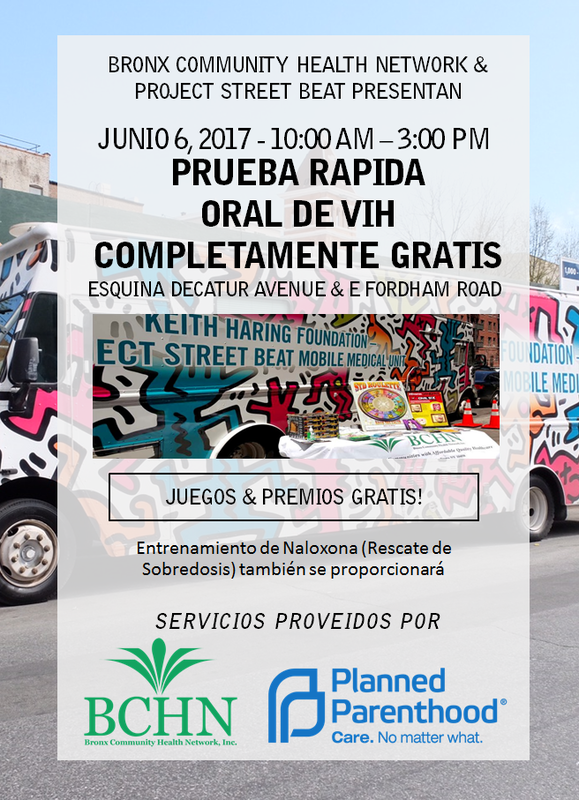 Bronx Community Health Network teams up with Planned Parenthood's Project Street Beat every month to bring a mobile HIV testing van to various locations around the Bronx. While the testing day normally falls on the second Tuesday of the month, it will be taking place earlier in June. 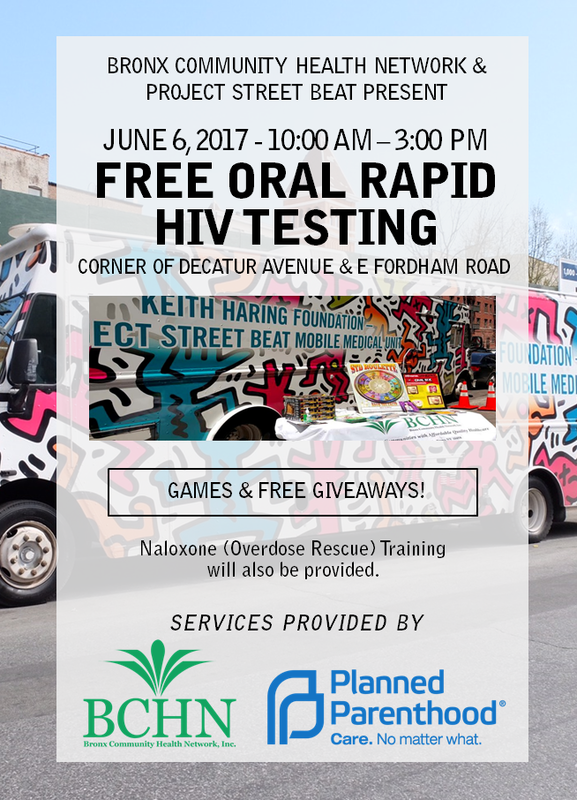 On June 6 from 10:00 AM to 3:00 PM, BCHN and PSB will be at the corner of Decatur Avenue and East Fordham Road offering free rapid HIV testing. BCHN will also be providing information on the services we offer, as well as training on how to use a Naloxone kit.